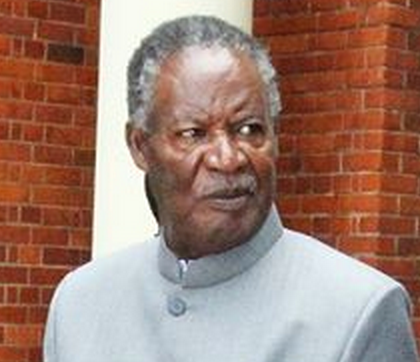 It is time President Sata and his party PF own-up on the challenges and personal difficulties that the Zambian head of state is experiencing. It is without a shadow of dou…bt that the President is inhibited from carrying-out his legitimate state duties for which he was elected to perform. Clearly President Sata did not travel for the commonwealth heads of state meeting in Sri-lanka, he did not travel for the crucial security conference in France, He did not travel to Malawi for the SADC heads of state meeting and now he has also failed to travel for Madiba’s funeral in South Africa. He is also not likely to travel to Kenya as expected. Arguably it is not satisfactory and acceptable standard of practice for the head of state to periodically be represented all the time obviously he is failing in his duties as incumbent President and head of state. There is no debate that his international engagements are in a serious state of disarray at best an embarrassment for the country and this surly needs an honest explanation from the government. As citizens we are entitled to know the pitfalls and the obstacles being experienced by the head of state. We genuinely sympathize with his situation and understand the challenges and the extent of his frustrations of not regularly interacting with his regional peers and his fraternal friends from the international community. We think the onus is now on himself or his colleagues to state the personal challenges and ask citizens of goodwill to pray for him and his family against all the challenges his facing in his presidency. We don’t think that the retired former Zambian head of state Kenneth Kaunda should be burdened and be made a substitute behind the scenes to be carrying-out his state functions. There are indeed valuable lessons that President Sata and his PF colleagues can learn from the departed indomitable moralist and global icon Nelson Mandela about personal limitations and political ambition. A good leader should be in a position to know when it’s time to exercise statesmanship by letting-go state power or handing-over power to a successor. We think this is decision time for President Sata to rethink his political ambition relative to the personal challenges unraveling he is undoubtably facing. He has un-opportunity to assist his country by acting selflessly and assisting the country by identifying a suitable multi-talented successor who can ably meet the challenges of running a responsive government. This can also provide un-opportunity for an orderly transition and smooth transfer of political power for the remainder of his term of office as per our constitution assuming he steps-down and elections are held.